Who doesn't love a good pirates story with a missing treasure? TJ has moved almost all of her family to the beautiful Gull Island for a relaxing summer, but all her plans change when they found a body, and it seems there's involved a treasure hunt, do you think she will resist the challenge? I am sure not! "There is magic in the beginnings. Some beginnings come as a rite of passage, such as a graduation from college, the birth of a child, or a wedding day. Other beginnings start off more subtly, as nothing more than an ordinary moment that evolves into a crucial event that, in the end, helps define who you are and who you will become." This is not just a mystery, we will meet TJ and part of her family; sisters, grandad, and the special Kyle... they have a murder to investigate but this will not stop us, the readers, to discover more about this family and start loving them! 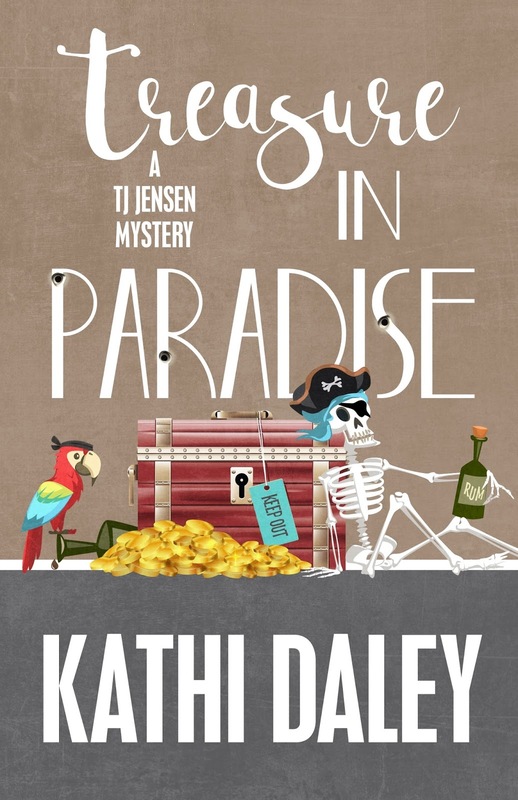 I liked how the author, Kathi Daley, not only centres the plot in the murder, there's a treasure hunt, a conspiracy to buy the resort and some love involved that makes this book interesting and catching. This is the seventh book of the TJ Jensen Paradise Lake Mystery, but you can read it perfectly as standalone. I haven't read the books previous to this one, but after the ending of this one, I can assure you I want to know how the summer ends for TJ and all her family! If you like reading interesting facts, you will be surprised about all the things you will learn in this book, the turtles life, some pirates legends... You can't know too much - it takes no effort or space to carry it around with you! This is a book to read on the beach, with the sea as a background and a Margarita on your hand! Ready for a lost treasure? Interested? Good luck in the Giveaway!